I have been trying to get out on my road bike lately. It has been a great opportunity to see different areas of LA that I wouldn't experience if I was driving. I found my way to the LA River Bike Trail after a friend recommended I check it out and it was an awesome ride. I biked from Silver Lake to Burbank with a beautiful view on one side, and a freeway on the other-typical LA life! I exited the trail in Glendale and found myself exploring small suburbs like the equestrian estates in Burbank Rancho. There were beautiful old homes from the 40's & 50's, horse crossing signs and a large, relaxing park. I also went by the Disney Animation Studios and passed some restaurants that I want to go back to try! On the way home, I road through Franklin Hills. I had driven past the small neighborhood sign a couple times and thought it would be fun to see what the area was like. I don't recommend trying to bike it, it was made up of really steep hills. Once at the top though, the houses were old and the streets were sweet with tons of character. There was an old estate on the top of the hill names Pendragon Haven that I desperately wanted to sneak up to but I didn't. I ended up riding just under 20 miles. It was a great afternoon. Then I made a vegan carrot cake. :) What would be a good workout without a bunch of calories afterward?! Do I dare to DIY? Jessica Biel was on the red carpet recently and I immediately died when I saw her nails! She showed off her amazing new engagement ring from JT and had a beautiful manicure. I was impressed by the rock but also the nails. Silver tips?! I am in love. Although my useroo year do NOT exclude services such as trips to hair salons, manicures or pedicures, I have really held off on indulging anything of the sort. 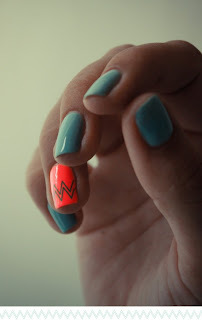 These nails make me wanna. It also reignites the internal fight of can I or can't I? Services are something I think I can buy if needed, such as: car repairs, chiropracters, dry cleaning. But luxuries such as cleaning service, salon visits, car washes or anything else that makes life easier have been cut out. I know right-am I crazy? I just don't see the point in having someone else do it if it's something I'm capable of doing. Plus I enjoy things like cleaning the house. It's my Sunday after church ritual I adapted from my mother. I guess if it works for me then it isn't that strange. Back to the nails-I think I will give it a horrendous try myself. If it is horrible, you will not see a follow up post!!! 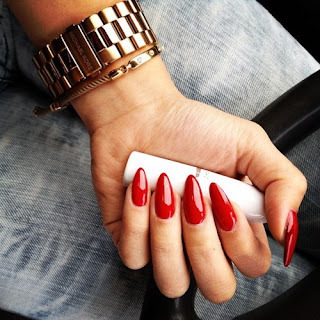 For fun, here are some other great manicures.